UNO believes you should have as much information as possible to make the best decisions about your finances. The information here is available to help you figure out how much your education will cost and how financial aid may help offset those costs. Use the Net Price Calculator to get an approximate idea of what your total UNO costs will be including tuition, books, room and board, and more. The cost of attendance is the estimated full and reasonable cost of completing an academic year as a full-time student and includes tuition and fees, room and board, books and supplies and other expenses including personal expenses and transportation. Academic Year: A period of time schools use to measure a quantity of study. At UNO, the academic year is defined as the fall and spring semesters combined, during which a full-time student must complete 24 credit hours. The summer semester is considered a trailer to the academic year. Expected Family Contribution (EFC): A measurement of your family's financial strength towards educational expenses during one academic year. It is an estimate, not the amount a family is expected to pay. The EFC is calculated using information that you will provide on the FAFSA and a formula established by law. A family's income, assets, benefits, size, and the number of children attending college are all considered in calculating an EFC. UNO uses the EFC to determine financial need. Your EFC can be found on the first page of your paper Student Aid Report (SAR), or on the FAFSA website. Financial Need: Financial need is determined by subtracting the Expected Family Contribution (EFC) from the Cost of Attendance (COA). The remaining value is used to determine what kinds of financial aid can be awarded. Student Aid Report (SAR): Summarizes the information included in the FAFSA and contains your EFC. When you receive your SAR, check it for any mistakes. If you find a mistake, make the correction(s) on Part 2 of the form and return it to the Department of Education in the envelope provided. If you think there might be an issue with your federal student loans, first collect and review all of your loan paperwork, then identify and document what you think the problem is. Call your loan servicer to discuss the issue. If you don't know your servicer, visit the National Student Loan Data System (NSLDS) website. UNO is required by the Higher Education Opportunity Act (HEOA) to disclose information to enrolled and prospective students, parents, employees, and the public. This includes information about services UNO offers to students as well as various disclosures. Verification is a process in which information on a student’s Free Application for Federal Student Aid (FAFSA) is reviewed by a school for accuracy and completeness. Each year, the Federal U.S. Department of Education selects certain applicants for verification. Verification selection can be targeted, where the federal processor uses a risk model to identify FAFSA data elements that are prone to error, or verification selection can be driven by incomplete, estimated or inconsistent data that is reported on the FAFSA. UNO also selects a certain group of students based on conflicting information or eligibility requirements. UNO has the authority to contact you for documentation that supports the information you reported. If you’re selected for verification, don’t assume you’re being accused of doing anything wrong. If your FAFSA is selected for verification, immediately submit all requested documentation to our office for review. Failure to provide required documentation by stated deadlines may negatively impact your financial aid award package. You might see a note on your Student Aid Report (SAR) saying you’ve been selected for verification. If you are selected for verification, there will be an asterisk* next to your Expected Family Contribution (EFC) figure on your SAR. You will also receive an email notification from UNO’s Office of Financial Support and Scholarships. For first-year students, we will communicate to you via your personal email address. If you are a currently enrolled student, we will communicate to you via your UNO email address. Participation in the verification process is mandatory. Financial aid will not be awarded or disbursed to your account until verification is complete. You will be asked to sign into MavLINK to view ‘To Do List’ items that have been requested. The items may have a PDF document attached, a web address or a description of information needed. Complete all information and return to the Office of Financial Support and Scholarships. Please note that during the process of verification, new or additional information may be required in order to clarify inconsistencies. The Office of Financial Support and Scholarships will contact you via email if additional clarification is needed, and the ‘To Do List’ in MavLINK will be updated accordingly. Documents requested will vary and may include, but are not limited to, an institutional verification form, W-2 forms, official IRS Tax Return transcript, a written statement declaring any untaxed income received, proof of high school completion status and verification of identity and a statement of educational purpose. Tax return transcripts can be ordered or retrieved online for immediate printing through the IRS website. Institutional documents are available on your MavLINK ‘To Do List’ or by request from the Office of Financial Support and Scholarships. Not all students are selected for verification. If you have not been contacted by the UNO Office of Financial Support and Scholarships, it is likely that your application hasn't been selected and there is no further action for you to take. Please do not submit additional information unless requested. You can expect the processing of your verification paperwork to take up to three weeks from the date you turn in your complete documentation packet to the Office of Financial Support and Scholarships. The process might take longer if we receive incomplete documents or require additional information. Note: all requested documents must be received in order to have your file reviewed. Please also be aware that the financial aid office experiences seasonal changes in volume which may affect expected processing times. What is the IRS Data Retrieval Tool (IRS DRT)? IRS Data Retrieval is an option within the online Free Application for Federal Student Aid (FAFSA). The IRS Data Retrieval Tool (IRS DRT) electronically transfers your Federal Tax Return information into your FAFSA form. Use of the IRS DRT is optional, but recommended as it eliminates the possibility of errors on certain data elements. Use of IRS Data Retrieval may mitigate processing delays which impact receipt of financial aid. For more information, go to IRS DRT. It is the applicant’s responsibility to complete the requested items on their MavLINK ‘To Do List’ in a timely manner to avoid processing delays. The Office of Financial Support and Scholarships will not award or disburse aid until all requested forms and supporting documentation is received. The deadline to complete the FAFSA to receive priority consideration for all types of aid at UNO, including CollegeBound Nebraska, is April 1. For priority consideration, you must also submit all ‘To Do List’ items within two weeks of being requested, or by June 1 at the latest. If you’ve missed the above deadlines, you will still want to complete the FAFSA and submit ‘To Do List’ items in a timely fashion for other financial aid consideration. At the latest, UNO must have a valid FAFSA result (official EFC from the U.S. Department of Education) on file by the student’s last day of enrollment for the award year in order to be considered for Federal Student Aid. As a general rule, all requested items on your ‘To Do List’ must be completed 10 days prior to the end of your enrollment period. If you have not submitted complete documentation by the deadlines, the aid application process will be terminated and any pending financial aid awards will be cancelled. If financial aid awards change as a result of verification, a revised electronic award notification will be sent within 10 days. At times a FAFSA application will be selected for verification AFTER aid has been awarded due to updates or corrections made to the data. Aid will be cancelled if verification requirements are not met. If financial aid is important to you, pay special attention to deadlines. The earlier you apply, the better. 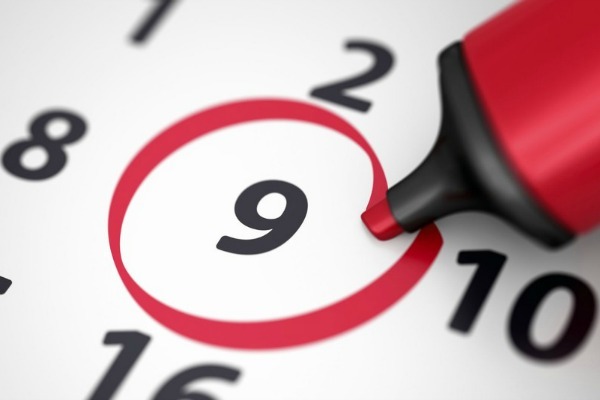 There are key dates to keep in mind if you are a first-year or currently enrolled student. Being a military, veteran, or dependent student at UNO is more than earning a degree, it’s supporting your future. The Office of Military and Veteran Services focuses on academic achievement, career attainment, financial health, and overall physical and mental wellness.